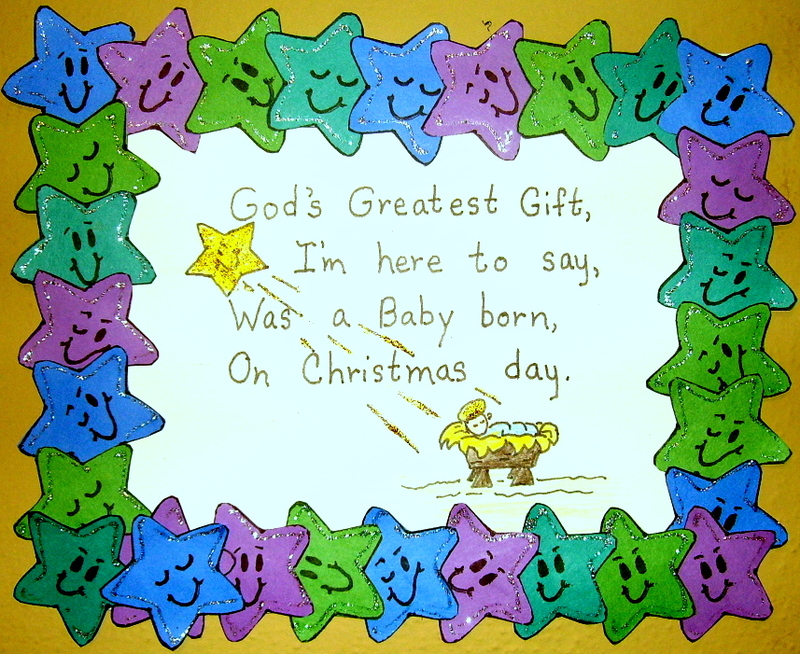 Happy star faces surround the framed poem about a star announcing the Baby on Christmas day. It’s always fun to do a project with smiling faces—it puts you in a happy mood. The kids will understand that Jesus is the reason we’re celebrating Christmas. The younger kids could do this, but I chose the 4th grade because of the amount of cutting and the size of the stars. This project, “Star Attraction,” is found under the 4th Grade Projects Gallery in the sidebar. This entry was posted in 4th Grade, Christmas Projects and tagged 4th grade, arts and crafts for christmas, christmas art projects for kids, christmas poem art project for children, framed poem, happy star faces, Jesus, star attraction, star picture frame, stars. Bookmark the permalink.